Which NBA Players Deserve to Start the 2013 All-Star Game? The 2012-13 NBA season is barely underway, yet All-Star voting has already begun. While the season is young, there have already been a number of memorable games, ridiculous stats and there are even some records that are being closed in on. This year's All-Star game is seeing a slightly different roster formatting. Instead of nominating two guards, two forwards and a center, it is now broken into just two categories: frontcourt players and guards. This comes as a result of the lineups for teams taking a serious change. A lot of teams (most notably Miami and Boston) have taken to a "small ball" approach without a true center in their lineup. This new rule gives the lineups the chance to see the best players regardless of position period. There are more than just 10 players that deserve an All-Star start, but there are a limited number of slots open. Those starting slots are not decided by a board or coaches. The starters are decided by the fans votes. While popularity and branding is going to have an impact on who gets the starting nods, there are 10 players that deserve to be starting the 2012-13 edition of the All-Star game. 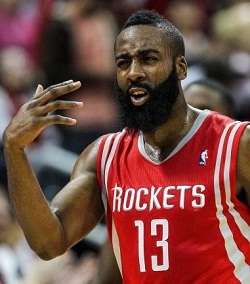 James Harden is in his first season with the Houston Rockets after a surprising blockbuster trade sent Harden from the defending Western Conference champion Oklahoma City Thunder to the on-the-up Rockets that also features last year's overhyped player of the year: Jeremy Lin. Harden's stat line speaks for itself. The man is second in the league in points per game and is dishing out a respectable amount of assists for a guy that starts at the shooting guard position. Harden is leading the Rockets to a potential playoff berth and should end up in the top five for this season's MVP award. The Black Mamba may be in his 17th season in the NBA, but the man has not lost a step. He currently leads the league in scoring just ahead of James Harden and is the main reason that the "dream team" roster in lala land is even relevant at this point. Kobe Bryant is going to be fighting for the scoring title all season and will most likely find himself in the top five of MVP voting. 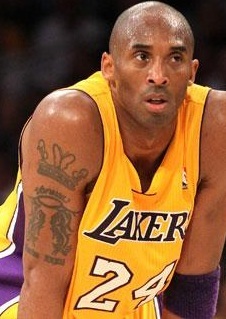 If the new-look Lakers can pull it together he may be hunting down his sixth NBA title this season as well. Kevin Durant is the defending scoring champion after a close battle with Kobe Bryant that went to the last game of the season. He's also the keystone to the defending Western Conference champion Thunder. Despite getting off to a slow start this season after losing defending sixth man of the year James Harden, the Thunder are still among the favorites to take the Western Conference crown. If Durant and Co. can find their identity he could be looking at an NBA title, a scoring title and an MVP award this season. 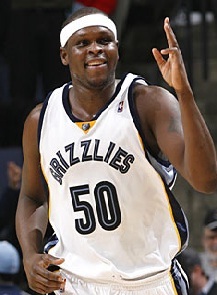 Zach Randolph may be a surprising and unlikely selection to start the All-Star game, but make no mistake about it, he deserves it. He is currently dominating the glass and chipping in offensively with 17 points a game on a team that features studs in Rudy Gay and Marc Gasol. Randolph and the Grizzlies are currently atop the Western Conference standings and barring injury, all signs point to them staying there. 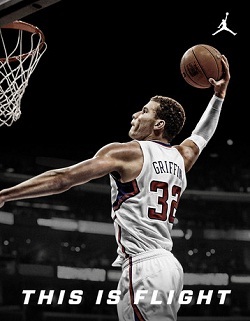 Blake Griffin isn't just making Kia commercials, he is also terrorizing NBA teams in the post. On a team that also features one of the best active centers in DeAndre Jordan, it is impressive for Griffin to be racking up the type of numbers he does. The Clippers are not only the hottest team in Los Angeles, but also one of the hottest in the West. They are currently third, and they are going to be hard for anyone to beat. Rajon Rondo is arguably the best point guard in the league, and he is hands down the best passer. His numbers speak for themselves, including two 20-assist game already this season. Rondo, who is the defending assists champion, is well on his way to repeat this season. 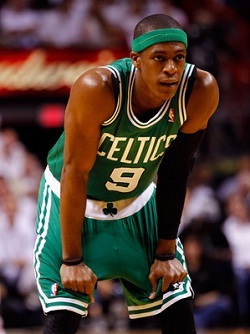 Despite an All-Star snub last year, Rondo took the Boston Celtics to within 12 minutes of the NBA Finals. In Game 2 of the Eastern Conference finals, Rondo put together one of the most incredible playoff stat lines of all time, scoring 44 points, grabbing eight boards and dishing 10 dimes. The Celtics are currently finding their identity after a big offseason for acquisitions. The Celtics will be back in the hunt this postseason and not only will Rondo be the league leader in assists when it is all said and done, but he may just end up being the league MVP. 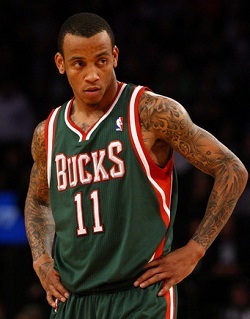 Monta Ellis may be the surprise pick on the Eastern Conference side, but he is by all means deserving. He is leading the Milwaukee Bucks in points, and he along with Brandon Jennings make up perhaps the league's most explosive backcourt. Ellis and the surprise Bucks are currently second in the East and seem to be improving with each game. After narrowly missing the playoffs last season, the Bucks look to be in good shape for a playoff run this year behind Monta Ellis' stellar work on both ends of the court. 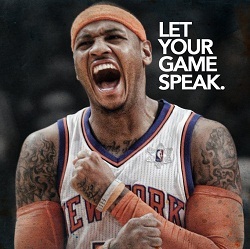 Carmelo Anthony is leading the Knicks to an impressive start that saw the Knicks undefeated through six games. He is scoring 23 points a night on a team full of scorers. His seven boards a night are nothing to scoff at considering he plays from the small forward/power forward position. The Knicks are much improved from 2012 and will hope to stay atop the East through the season. The Knicks won't have an easy road to the finals though, as both defending NBA champion Miami Heat and the new-look Boston Celtics will be fighting for the right to represent the Eastern Conference in the NBA Finals. This one probably goes without saying. LeBron James is well on his way to defending his MVP award. His stats speak for themselves, as James is in the hunt for scoring champion while also snagging a ridiculous nine boards a night and dishing nearly seven dimes a night. Stats like these are Magic Johnson-esque, and certainly worthy enough of an All-Star start. 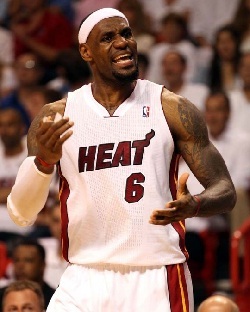 LeBron and the Heat are again near the top of the Eastern Conference and will hope to repeat as champions this season. Unless New York or Boston can find a way to stop the high-flying Heat, all signs point to them repeating at least their Eastern Conference crown. This is maybe the least likely pick of all. Anderson Varejao is eating up the glass, averaging nearly 14 boards to couple his almost 17 points a game. The 6'11" center is among the best active centers statistically despite playing for a very subpar team in the Cleveland Cavaliers. Cleveland is by no means a team worth talking about, but their starting center is. 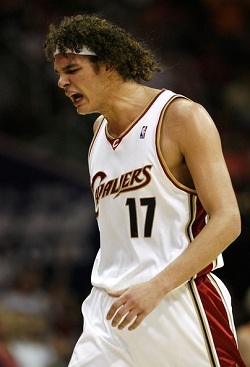 Along with the up-and-coming point guard Kyrie Irving, Varejao is the only bright spot on an otherwise ugly team. For the man to go out every night and give the type of effort he does despite playing for such an awful team means something. 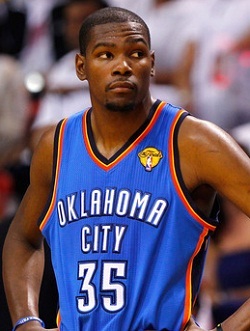 He deserves to start the 2012-2013 All-Star game.